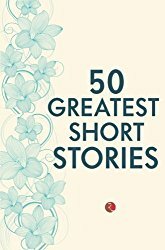 “50 Greatest Short Stories” is a book put together by Terry O’Brien that contains stories all right, but reasonable people will very likely differ on whether these are really the “greatest” in this genre or whether some of them can even be called “short”. That said, everyone is likely to find an enjoyable and memorable story or two in here. I have enjoyed reading short stories for a while now, so it wasn’t too surprising to see the usual suspects like O. Henry, Saki, Guy de Maupassant, Edgar Allan Poe, Anton Chekov, etc. and their more famous short stories in this collection. What was surprising was the varying quality of the stories in this collection - some of the stories make you wonder just what is happening or whether it can even be termed a “story”, leave alone one of the “greatest”. Another surprising thing was the omission of some of the great story-writers like Roald Dahl or Isaac Asimov or indeed any of the modern writers - for some reason (copyright? ), almost all the stories are from late 19th or early 20th century. They are also only written by Western European or American writers. So yes, the book definitely does not live up to its title - caveat emptor. Set these caveats aside though and you are likely to get many hours of joy from reading this book. Most of the stories can be read in a single sitting, so you can read this book as and when you can find the time without having to carry around the context in your head. This makes the book more suitable to the present hurried times, though the winded and somewhat archaic language in some of the stories is likely to strain the attention of some readers. The paperback version of the book is affordably-priced and is nicely-sized, which makes it a tempting purchase. If you are new to the short story genre, this makes for a nice sampler and hopefully a springboard for further exploration.